Our Sheffield Branch is a full day care setting offering childcare for children aged 3 months - 5 years as well as an Out of School Club offering care and activiites for children of primary school age. We are open 7.45 am - 6 pm, Mon-Fri throughout the year. 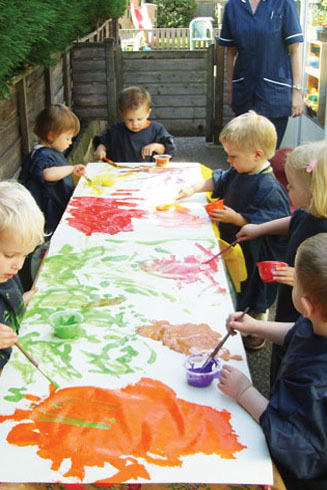 Our Chesterfield Branch offers term time nursery care for children aged 2 - 5 years from 08.45- 3.30 during school terms. This nursery is on a school site and works in partnership with Christ Church C of E Primary School.